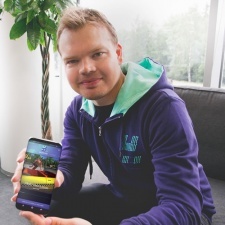 Finnish developer Hatch will extend its 5G games streaming service to Android TV as part of a new premium membership scheme. The functionality will allow players to stream Hatch’s library of mobile games to their TVs, with the mobile phone acting as a controller. Hatch has teamed up with numerous developers and publishers to bring a collection of games to its service. In March, it revealed it had partnered up with Sega to bring Sonic Jump, Sonic 4 Episode 2, Sonic CD, Crazy Taxi and Virtua Tennis to mobile. The Finnish streaming company has also partnered with other games developers recently to bring titles such as Bandai Namco’s Pac-Man CE DX and Ubisoft’s Rayman Fiesta Run to the service. “Bringing our service to Android TV is the next step toward fulfilling one of the great promises of cloud gaming: great, console-quality gaming on any screen,” said Hatch CEO Juhani Honkala. Hatch premium subscribers will also gain access to the platforms Hatch Originals programme, which features games designed for the streaming service. One of the first to be available will be arcade game Arknoid Rising, which is produced and published by Hatch in association with TAITO. “It’s only fitting that one of the great pioneering game IPs now leads us into another pioneering era,” said Honkala. The service also comes with Hatch Kids, which is an ad-free zone designed for children that features education games. Hatch Premium is currently pencilled in for a release in the first quarter of next year in selected markets. A free-with-ads limited version of Hatch is presently available for Android in Nordic countries, UK and Ireland, with support for more countries and platforms planned for a later date.